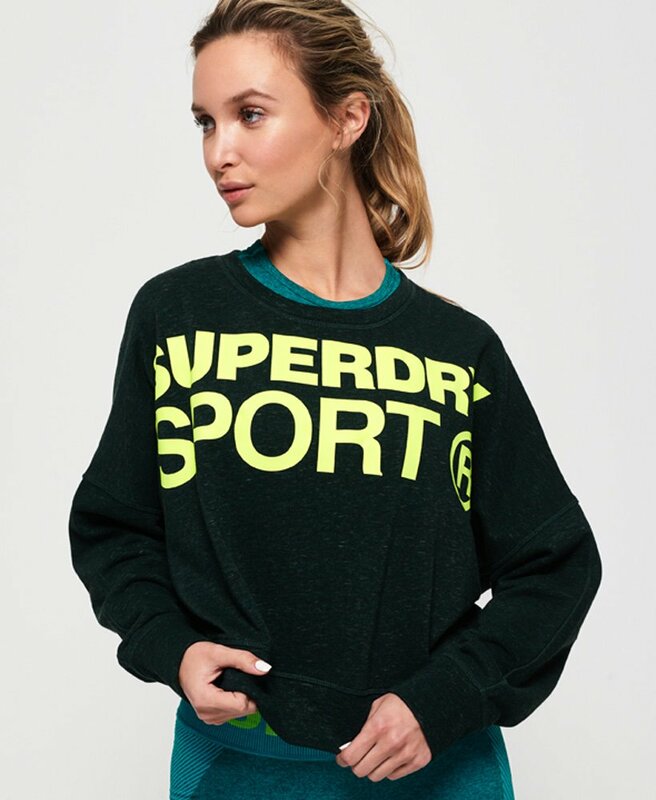 Superdry women’s active batwing crop sweatshirt. We blurred the lines between studio and street with a stylish sweatshirt cut to a cropped fit. This has been designed with an on-trend batwing sleeve to reflect your personal style and to ensure playtime has personality. In addition, this sweatshirt also has been cut with an easy crew neckline and a large simple Superdry logo across the chest. For the perfect combination, partner this with a pair of our joggers or leggings to complete the look.